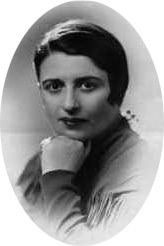 Ayn Rand, "What is Capitalism?" Homo Sapiens are not particularly fast. They don't have sharp claws or teeth. They don't have hard shells nor can they digest grass. They can't fly, spit poison, or release skunky stink bombs. So why are there so many of us? Bears should have eaten us all a long time ago. No -- we humans are still around because we're smarter than the average bear. Man's mind is his tool of survival. The mind is used to gain, use, store, and recall knowledge. It is his mind that enables a farmer to know what to plant, when to plant it, how to nurture it, when to harvest it, how to prepare food from the result. It is his mind that enables a hunter to know what he needs to make a spear, how to make it, and how to use it. And it is his mind that enables a blacksmith to know what rocks contain ore, how to extract the ore, and how to make a forge and tools. In short, it is the mind that enables a person to know what to do in order to survive. Man's mind allows long-range planning and thinking. It enables such long-range planning as required for farming, hunting, and tool making. These endeavors require the ability to conceptualize long-term cause and effect chains. "I need to make a spear tonight so I can hunt tomorrow and have food for the next 7 days." There may be some environments where people could survive for a while without long range planning, but without the results of knowledge like spears, fire, and other technologies, people would get out-bred by other animals and die out. Man's mind is his tool for survival, but like all tools, it must be properly used. The mind manipulates knowledge, and knowledge can only be obtained through reason. Without reason, there is no knowledge, and thus no survival. You must recognize reality and act in accordance with it in order to be successful (reality is absolute). To the extent that you use reason as your method of judgment in knowledge and action, you will survive and flourish. To the extent that you ignore or evade reality, you will suffer and die. It is very important to note that survival by reason requires the freedom to act according to your reason. This is why men do not thrive under coercion, and can not survive when they are subject to the initiation of force by others.